The NJMC's research arm, the Meadowlands Environmental Research Institute, has been working on a portable device called a Muskrat Tail that harnesses the power of the tides in the Meadowlands. An early prototype generates enough power to run a car battery. This video is a sneak preview. The MERI website is here. Looking for a great mid-summer diversion? Join the Meadowlands Commission for a pontoon boat eco-tour of the Hackensack River and its celebrated marshes next week. The suggested donation for the guided two-hour cruises is just $15 per person, and the views of the estuary and its birds are often spectacular. 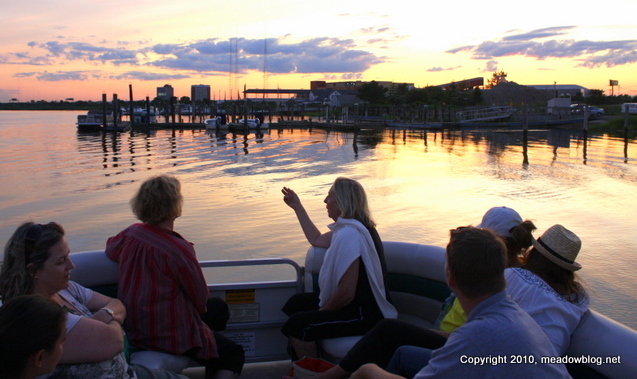 We still have openings for three late-afternoon cruises on Tuesday, July 20; Wednesday, July 21; and Thursday July 22 — all departing at 5:30 p.m. We also have a morning cruise available for Wednesday, July 28, at 10 a.m. The boats leave from our new River Barge Park in Carlstadt. Want to see the estuary from water level? Join us on our three-hour canoe trip on Saturday, July 24 at 8:30 a.m. at Mill Creek Point. Registration is $15 per paddler. 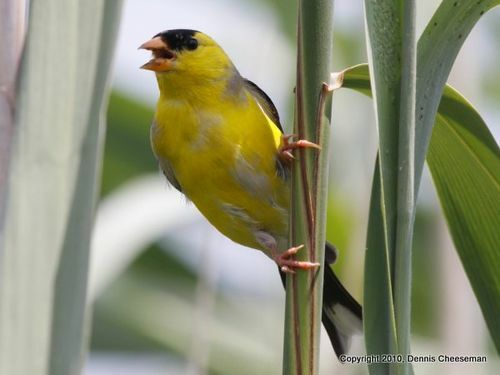 More on the American Goldfinch here. If you have been wondering what is going on near the entrance to the Marsh Discovery Trail, wonder no more. Workers are hard at work building a sensory garden, part of the Meadowlands Commission's efforts to make the park accessible to all. "The new Accessible Sensory Garden at DeKorte Park will enable people with disabilities to more fully explore the plant life of DeKorte Park by using touch, smell, sight, and even hearing. 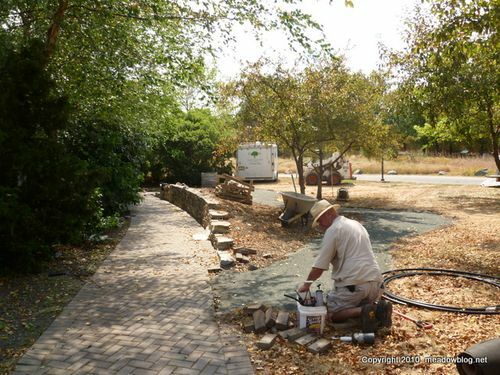 "A stone retaining wall along an existing walkway will raise plants to within reach of wheelchair users. A short loop trail will provide further access to a wide variety of plants. "Although designed for people with disabilities, the Accessible Garden will help enhance perceptual skills and increase sensory awareness for all park visitors.